If you’re an inventor with an idea involving software, speed is of the essence. In developing a new product, one key consideration for inventors is intellectual property protection. Specifically, innovators should look to obtain patents on their products as early as possible in their idea’s lifespan. Early IP protection is especially important for those seeking to innovate in the software space because of the fast pace at which software technologies change. If an inventor develops a software with great potential, it is imperative for that inventor to receive IP protection as soon as possible so that he or she can mark that software personally before anyone else can, or before the software becomes obsolete. Because software is inherently a method, most of it is eligible for a utility patent. Software patents follow the same basic rules as other utility patents. Such a patent grants exclusive use to the inventor of a useful, novel, non-obvious invention for a period of up to 20 years. The United States Patent and Trademark Office grants patents after a rigorous and time-intensive application process and review. The right conferred by a patent grant is “the right to exclude others from making, using, offering for sale, or selling” the invention in the United States or importing the invention into America. Utility patents are the ones most commonly issued but also the most difficult to obtain. These patents protect any new and useful process, machine, article of manufacture, composition of matter, or new and useful improvements to existing products. Software can be protected under the United States Patent and Trademark Office as utility if it is unique, tied to a machine, and offers an identifiable improvement. The USPTO has established five elements for patent eligibility: (1) The invention must be a process, machine, or object; (2) It must have utility; (3) It must be novel or new; (4) It must be non-obvious; and (5) It must not have been disclosed to the public before the patent application. An invention must qualify under all of these elements in order to move forward in the patent process. A 2014 U.S. Supreme Court ruling in Alice Corp. v. CLS Bank International was seen by many as damaging to software patents and related business applications, although the ruling did not specifically mention patents. Alice and Section 101 are often mentioned together. J.D. Houvener, founder and CEO of Bold IP, says: “Software is most vulnerable to be rejected for patentability” under Section 101. “Software is difficult to prove as novel and non-obvious when it can be done by human activity alone, or another method other than the software. 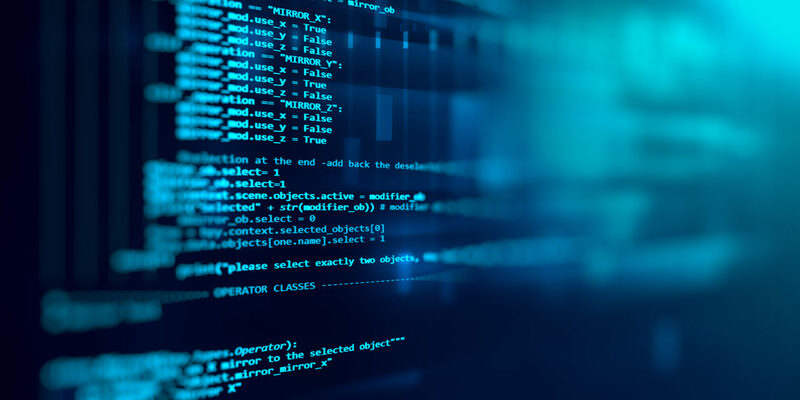 In order to be eligible for a patent, software must offer an identifiable improvement, such as making something more effective, efficient, or providing benefit beyond what a human is capable of alone. If the software mirrors or replicates an activity or a process that can be done by humans in real life, simply doing it on a computer in a virtual setting won’t make it eligible for a patent. As with any plans to patent, it’s a good idea to first conduct a patent search before starting the process to ensure someone else hasn’t already tried patenting a similar software. This can also give you clues on the patentability of your software. When applying for a software patent, an inventor must show in the list of claims that the software is a process that has novelty, non-obviousness and utility. The claims must make it apparent that the software can’t be done by humans alone and that it brings a usefulness to human life that was nonexistent prior to the software’s inception. An inventor should not simply try to patent the sequence of code itself. Software can be coded in many different ways, and patenting the code would close the door on improvements and iterations for the inventor. Moreover, source code is trade secret unless it can be sold or licensed. If an inventor wishes to reveal source code, he or she should seek copyright protection. Furthermore, point back to something 3D/tangible about the software in the patent claim, such as an actual device or machine. Keeping in mind the added importance of speed, it is best for a software engineer seeking patentability to have the right system and legal team in place in order to capitalize on the software before the market changes. Carly Klein is a law student at Loyola Law School in Los Angeles. A graduate from Boston University with a B.A. in Political Science & Philosophy, she has previously served an Americorps term at the American Red Cross in Los Angeles on the Service to the Armed Forces & International Services Team.